“Norman Claringbull is a skilled story-teller, and the narrative he unfolds in this text is nothing less than the evolution of the talking therapies from the ancient world to the current day. Claringbull, N. (2004), A fourth wave in workplace counselling – its professional specialisation? 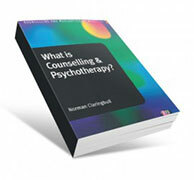 The Counselling and Psychotherapy Practice series has been specifically written to support students on Counselling and Psychotherapy courses. These books are practical in focus, concentrate on linking theory to everyday practice, and include practical activities to aid learning. 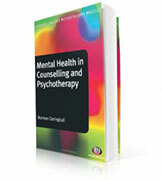 These books will be continuously updated to respond to emerging changes in counsellor education and practice. A core feature of this series is the way that these books will provide an interlinked and coordinated undergraduate, learning programme. These books are all written in the very accessible Learning Matters’ style and are packed with activities, case studies and reflection points.